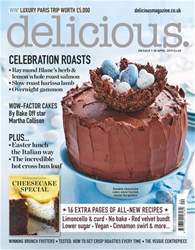 Celebrate spring with our April/Easter issue: the maestro Francesco Mazzei creates an Italian feast while Raymond Blanc roasts a salmon French-style. Finish off with cakes from Bake Off’s Martha Collison, Paul A Young's new sticky, chocolate pud or Brick House's orange hot cross bun loaf. 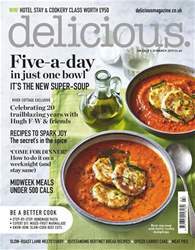 Read how in 1999 British food changed forever and find out whether counting calories works. 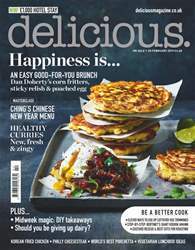 If you've ever wanted to visit Amsterdam, we've got the latest foodie recommendations as well as a round-up of the best Easter eggs AND 16 extra pages of brilliant cheesecakes! 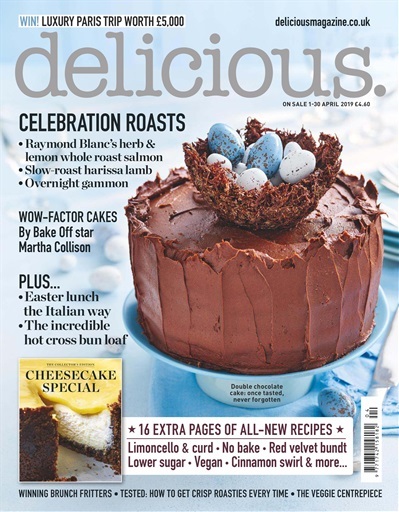 Below is a selection of articles in Delicious Magazine April 2019.